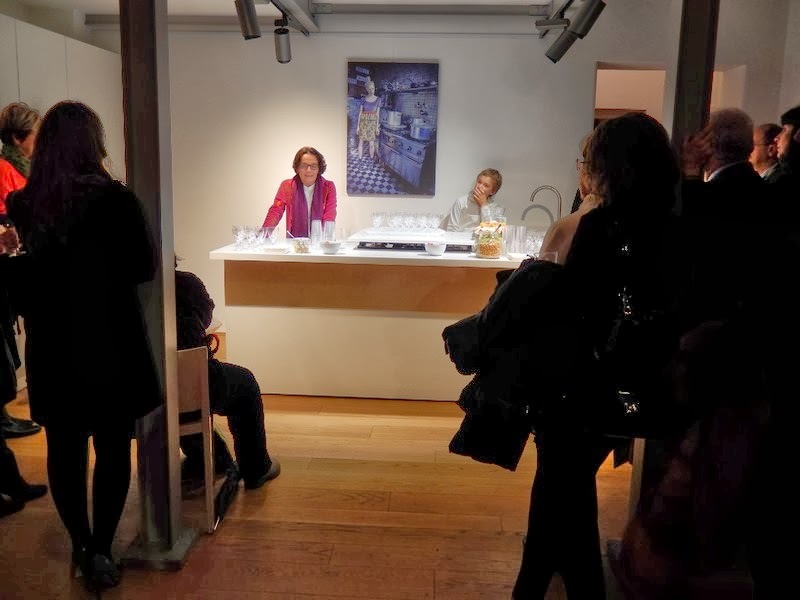 On Wednesday 19th February 2014, during the glamorous fashion week, Libaliano Kitchen was in Milan to present its books on Lentils and Chickpeas. Kitchen Victim hosted us in their beautiful and cheerful space. 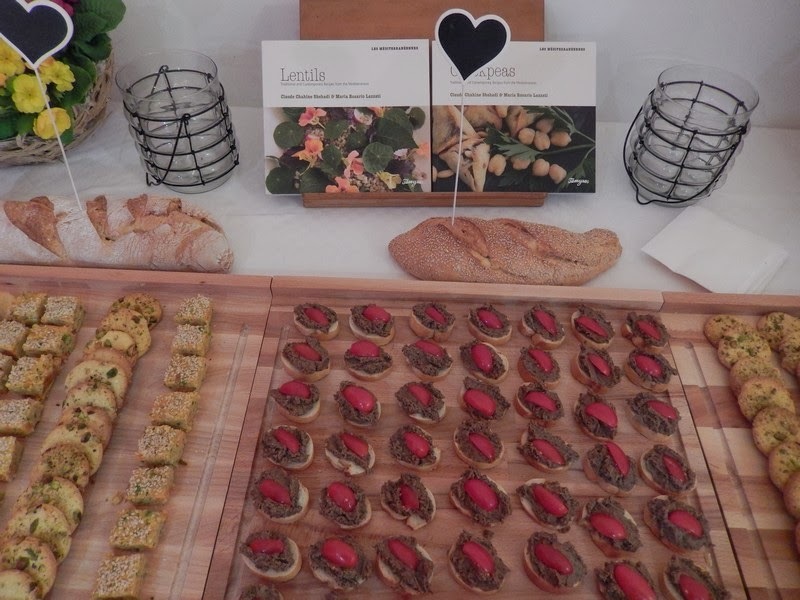 All the canapés were with lentils or chickpeas and were based on recipes from our books. On the menu: mini lentil and Swiss chard squares, black chickpea bruschetta and gluten-free pistachio and sesame biscuits. It is difficult to say which the most popular, everybody loved everything and within an hour nothing was left. Not even books. We sold them all, a double achievement, considering they were in English. 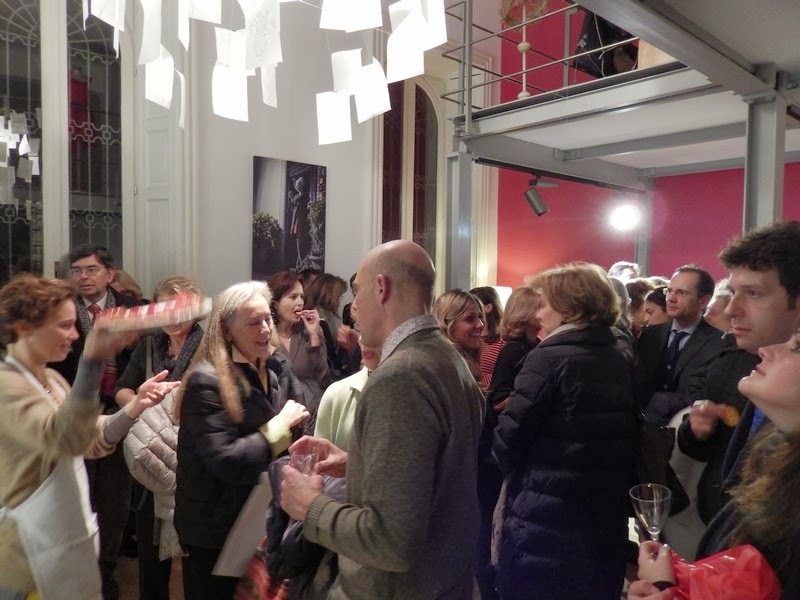 Maria was proud to present The Libaliano Kitchen's creations in her hometown. People were happy to listen and to ask questions. 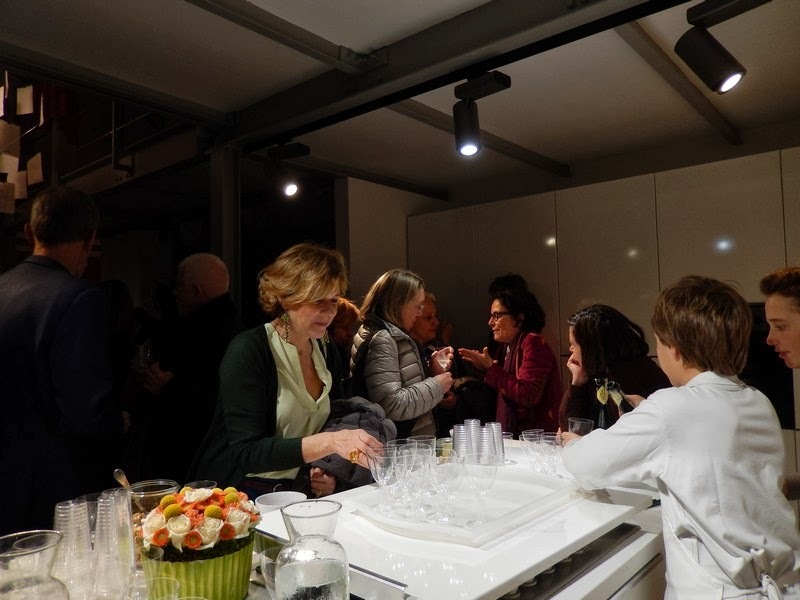 We enjoyed being together and sharing our cooking experience with a glass of good Prosecco.